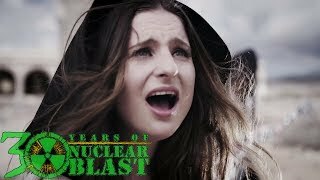 Cellar Darling formed in the summer of 2016 out of the split of Switzerland’s most successful metal act to date, the chart-topping Eluveitie. What quickly developed was a unique and fresh combination of grand and heavy riffs, powerful drumming and a unique voice, with the signature folky, earthy tones of the hurdy gurdy, confidently fusing heavy alternative rock with strong folky influences and poetic lyrical tales, creating what you may very well call a New Wave Of Folk Rock. Cellar Darling’s debut album „This Is The Sound“ was released in 2017, the sophomore album is in the works.